Which games from other platforms did you wish was on the BBC? Re: Which games from other platforms did you wish was on the BBC? When I was teaching at Camp Beaumont we they had two suites of BBC Masters and two suites of Commodore 64s. The C64s seemed to be used mostly for games, the Masters for programming, office applications, and art. However, there was one game on the C64s that I particulary noticed, and ever since have tried and failed to remember or find out what it was called. It was a multi-screen plan-view moving character thing (think Atic Atac) where you were some sort of tortoise-like reptile searching through caves for (I think) food and your eggs and hatchlings. I wish I could remember what it was called. Would have like to have seen a version of Civilisation. I still play from time to time the original DOS version with Dosbox and D-Fend Reloaded. Acorn Electron issue 6 with Master RAM Board, Elk2GoSDC and GoSDC. Acorn Electron issue 4 with Acorn Plus 1, AP6, AP5, Pegasus 400, BeebSCSI, Gotek, Raspberry Pi 2nd Processor. Some of the Freescape games (Driller / Total Elclipse from Incentive) would possibly work reasonably well on the 'Beeb. Loads of simpler platform games too like Frankenstein (PSS Software) or BombJack (Elite) too. Not sure what else to suggest , Wheelie (Microsphere) would be quite good and it seems half plausible to do this as it does not appear to be a mass CPU straining scrolly either. Moving on from that isometric games like Sweevo and Hydrofool (Gargoyle/FTL) amongst others given KnightLore ported over so so well to the 'Beeb , these two would likely be the same. Last edited by AndyF on Mon Sep 17, 2018 4:23 pm, edited 1 time in total. I would've hoped for some of their earlier releases, Harrier Attack and Scuba Dive. I have a feeling one of them was briefly advertised but nothing came of it. Both Bomb Jack and Ghosts and Goblins were briefly advertised, again nothing ever materialised. Not because I think it looks any good but it would have put Benny back where he once belonged - the BBC. They are both quite good games although I'm terrible at them. I wrote a cheat for Scuba actually allowing you to pass through the rocks/background! More useful than it sounds. Harrier Attack I first saw on the Amstrad if I remember correctly. I do now own the ZX version of said game too. Good suggestions though and excellent candidates. I thought about Critical Mass as I recall enjoying playing that 'back then' but when I revisited it a few months ago I found it lacked gameplay. Sigma7 would be another candidate (possibly M128 though so you could get it all in, in one go maybe) but its a bit boring I found, nice enough game (credit to the coder, I could never ever write anything like that) just a bit boring. Thanatos might of worked though but again I found 'not a lot to actually do' with it. I thought about Turbo Esprit as well as that was popular. Bomb Jack would of been not *that* difficult to do I think, all things considered. G+G I guess so or Ghouls/Ghosts perhaps. I only say that as I saw someone had managed to port SkoolDaze from the Speccy to the Oric a while back (so that's Z80 to 6502) , I think there's also a third party Amstrad version of that as well. I don't think that game would work too well on the 'Beeb though unless it was in mono due to the resolution concerns, either that or four colours maybe. 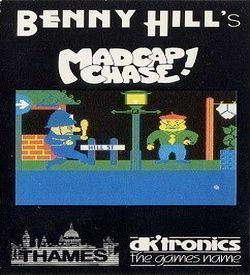 I really must grab a copy or three of some mid 80's Micro User or similar I used to buy it occasionally back then despite said machines being well out of my price range and my age at the time did not help either! It is quite nice to look back though at the old adverts too I think as well as read up on relevant articles. I briefly considered some MikroGen titles, the Wally Week series would maybe of worked albeit in less colours perhaps. Mind you their Amstrad versions are a bit erm 'blocky' but play nicely enough. Bomb Jack would of been not *that* difficult to do I think, all things considered. My port is pretty much complete in terms of levels and graphics but I've still not ported all of the enemy logic. I did revisit it a few weeks ago and go the robots appearing when they should. It was definitely doable though - I cheat by loading the background from disk on each level but it could have run from tape using fewer colours (or even some vdu streams to draw simpler backgrounds). G+G I guess so or Ghouls/Ghosts perhaps. I only say that as I saw someone had managed to port SkoolDaze from the Speccy to the Oric a while back (so that's Z80 to 6502) , I think there's also a third party Amstrad version of that as well. I don't think that game would work too well on the 'Beeb though unless it was in mono due to the resolution concerns, either that or four colours maybe. I'd love to see Ghosts & Goblins on the Beeb. The Amstrad version is okay and the Beeb has pretty similar graphics capabilities (except for a more limited palette). Looks like the Amstrad does the equivalent of mode 2 with 4 colours background and 3 colours + mask foreground for EOR sprites. The Amstrad version of SkoolDaze is in the equivalent of mode 1 with monochrome for the main display. It doesn't look too bad but not as good as the original or Oric version. Maybe the Oric logic and Amstrad graphics could be cobbled together to make a Beeb version? I think some of the Atari 800 ports of Spectrum games work by using an interpreter/recompiler to convert the Z80 code to 6502. Something similar for the Beeb might make porting games easier. Which game do I wish was on the BBC? Well the Atari 8 bit has just had a superb port of Stunt Car Racer. As a Geoff Crammond game it seems to me that if the A8 guys have the raw 6502, wouldn't it be lovely to get Stunt Car Racer onto the Master? Be warned, this is how games like Feud run on the Atari 8 bit. They run like crap. Whereas, say, something like Head Over Heels had a proper line by line translation from Z80 to 6502 and then to 68000. The oddity of Head Over Heels is the guys who did the 68000 didn't know Z80 but did know 6502, so they used that. Hence why the 6502 and 68000 versions share some quirks. Thanks - I think the only ones I've seen are Pentagram and Gunfright and they seem okay. Of course, you can always use a 300MHz 6502 co-pro on the Beeb which should sort out any performance and memory issues! Booty (Spectrum/Amstrad/CBM) is another candidate that is a fun game that would also likely work well. Always wanted to See a port of Quazatron by Hewson. It was an isometric port of Paradroid for the ZX Spectrum. Kokotoni Wilf would of made (in theory at least) a relatively easy port over and the game is highly suitable I think to our platform too. Reasonable take on a 'platform' type game with a good background story (kind of) to explain the variety of levels, set in different time periods. Last edited by AndyF on Fri Nov 16, 2018 8:02 pm, edited 3 times in total. I'd like to see them even attempt an ATTACK OF THE MUTANT CAMELS clone, seen the Atari. You know, I've just watched that video, and I can't help feeling that if you had a VideoNULA, implementing that game would be... not easy, but certainly not impossible! Though I always found it interesting that the game was an amended clone of Star Wars for the Atari 2600 (or Return of the Jedi or whatever it was). I always wanted to play that one but I had it all along. I still have my AMC cassette somewhere. Harrier Attack (Durell) would of been half decent on our platform here, relatively simple game too all in all. =You know, I've just watched that video, and I can't help feeling that if you had a VideoNULA, implementing that game would be... not easy, but certainly not impossible! I'd agree. The scrolling would be simple and the colours effects would just be a matter of using interrupts to do palette switches. Even the mode change for the status area is simpler with VideoNuLA as you can just put it in logical palette mode and then you don't need to bother with the expensive business of redefining the standard palette. Zork, and other Infocom adventures. It always annoyed me that these were available for the Apple IIe but not the Beeb. Money Island and Lost Vikings, although these might be a bit more modern than the Beeb was ever capable of. There may be a demo soon (not by me) that might show how attack of the mutant camels could be done on a stock beeb. In the mean time, have a look at richtw's unfinished game https://m.youtube.com/watch?v=DBvrDZlzEOE if you like 50hz parallax scrolling with a raster bar look - no extra hardware required. As we said in education, that ain't not bad !! I'm not sure it will be finished if that demo was 2011. Nice to see the BBC put through some sweet graphical paces again. Wow! I don’t think I’d seen that before. Rich, it’ll be such a shame if you don’t finish that game! I hope rich doesn't mind me mentioning blurp, unfinished on both beeb and Archie! He has a huge talent and I wouldn't have made the games I have without his help and inspiration. Last edited by tricky on Thu Jan 10, 2019 10:22 pm, edited 1 time in total. Thanks for the kind comments! I actually may have some time to pick up some old Beeb stuff soon. But I know I'm terrible for abandoning projects and letting them rot once the interesting stuff is done. The Blurp video you linked to was the first demo with smooth scrolling, which unfortunately wouldn't have allowed for much action while still running at 50fps. It'd still be nice to pick up a project along these lines as the scrolling is lovely, but it'd need to be a different sort of game with far fewer sprites on-screen than Blurp. Here is the trailer for the rebooted version of Blurp which was nearly finished, but ultimately suffered from being impossible to play unless you were me! I could never really fathom a good solution to that because the problem was that it just goes too fast (mostly due to limitations of the scrolling coarseness, and not wanting to run at 10fps to compensate!). Perhaps worth revisiting with fresh eyes, now that I've forgotten how to play it! Last edited by Rich Talbot-Watkins on Fri Jan 11, 2019 10:50 am, edited 1 time in total.